You may have noticed from the pronouns used, that Max is a young woman. Apparently, for publishers, this is still a problem. In their recently released video diary, the Paris-based game developer revealed that several game publishers showed interest in Life is Strange — but only if DONTNOD changed the main protagonist into a male. Fortunately, Tomb Raider publisher Square Enix knows that female leads can power a game just as well as males. Reviews for Remember Me were mixed. Like myself, many reviewers praised the gorgeous backdrop, the ambitious storyline, and the character herself, but were disappointed in the predictable and formulaic battles, lack of interactivity with the world, game mechanics, and the weak plot. No one complained about Nilin’s gender. For me, Remember Me remains a game that I highly recommend to others, despite its flaws, because it shows how much potential DONTNOD has to offer. If there was one thing I took away from playing it, it was the desire to see more from them, which is why I am very excited about Life is Strange. 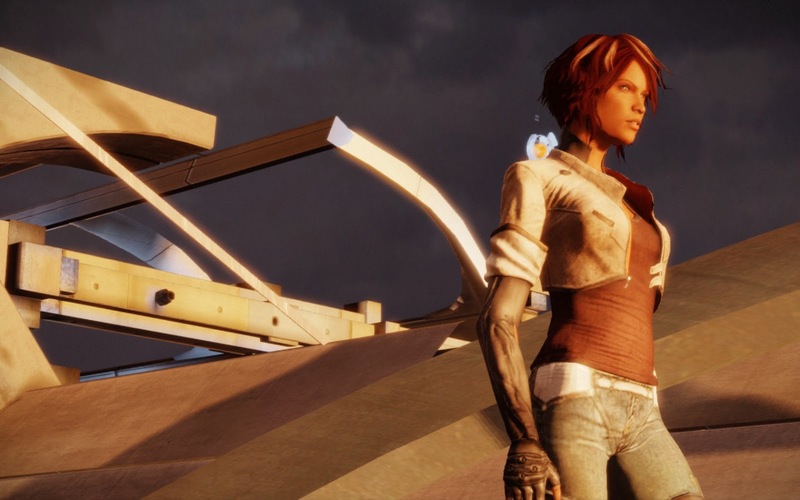 Remember Me featured a very unique game mechanic that allows Nilin to alter people’s memories, rewinding and fastforwarding as she interacts with the pieces of the mind. It is a very interesting, but highly under-used aspect of the game. As revealed in the developer diary, Life is Strange will expand on that concept, allowing Max to rewind time. To aid in Max’s exploration, players will be able to use this feature to solve puzzles or alter reactions. Many games of late (lookin’ at you, BioWare) stress the importance of player choice, but it sounds to me like Life is Strange will be taking this to a whole new level, with the rewind option even making it possible to experience the alternative choices while you are playing, instead of through multiple saved games or playthroughs. What will this mean for the consequences of Max’s actions? Life is Strange will be available across multiple gaming platforms on January 30, 2015. I have already pre-purchased my copy because, as with Remember Me, I am voting with my wallet in hopes of finally convincing game publishers that female protagonists are just as strong as male protagonists. But I’m also voting with my wallet simply to show that my top priority as a gamer is to play really great games. If publishers make this their priority instead of trying to convince us of what they believe we don’t want, the industry will be a much place for everyone.